After the Invictus Kickboxing Arena success on February 9, when Riccardo won the Intercontinental WAKO Pro K1 title (-71.8 lbs) against Mustapha Haida (KO in the fourth round), it’s time to look forward to another ambitious goal: the light middleweight Italian boxing title. 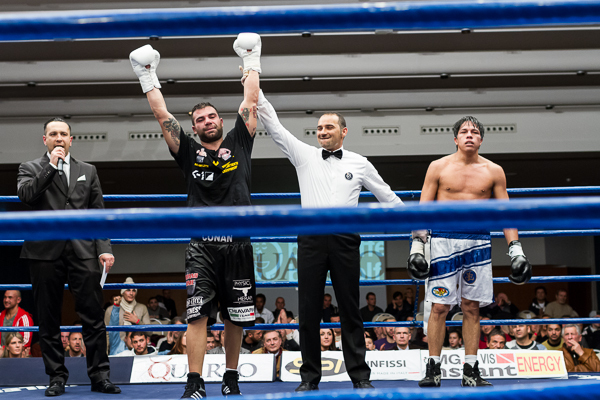 Riccardo – managed by Mr. Alberto Chiavarini for his boxing career – is undefeated after eight matches; his last bout was against Orlando Membreno at the Ergife Hotel in Rome, December 14 (2012). 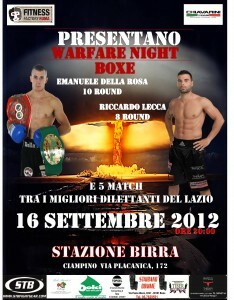 His next challenge as boxeur will be on May 25, 2013 at Padiglione dello Sport di Ostia (Italy) and his opponent will be Francesco Lezzi, a 23 years old boxeur from Bari, Italy. After this fight, he will probably face Di Fiore on July for the Italian super welterweight. 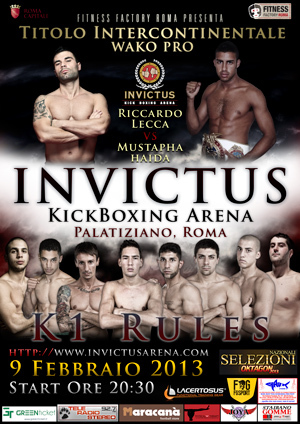 Riccardo won at Invictus Kickboxing Arena and is the new WAKO PRO Intercontinental champion! <<I would like to thank all my fans, my staff and all the people supported me. This fight has been special because before my match I was also at the corner of my young fighter Mattia Faraoni as coach. So after his match – Mattia won by KO – I felt a little tired and mentally exausted. This is why I started my match against Haida without the right concentration. I went down twice on the canvas in the first half of the match, as everybody have seen. Haida is a real champion with great fighting skills and a big heart. I really must thank him for the great match he did. Once again I would like to thank everyone on my corner, especially Massimo Farina, Khalid Mazhoum, Federico Catizone and Mousid Akhamrane, they gave me all their support in this beautiful challenge! Christmas is over, February 9 is getting close and there’s no time to linger between sparkling wine and xmas sweets. This is what must have thought Ricccardo, who has decided to spend his holiday season in Cecina celebrating and training along with his friends Khalid Mahzum and Vittorio Valori ​​in the Renbukai gym. The focus now is always on the upcoming match with Mustapha Haida at Invictus Kickboxing Arena valid for the Intercontinental Wako Pro Title. After that, the final training will be held in Amsterdam, where Riccardo will spend the three final weeks that will lead him up to the match against Haida. 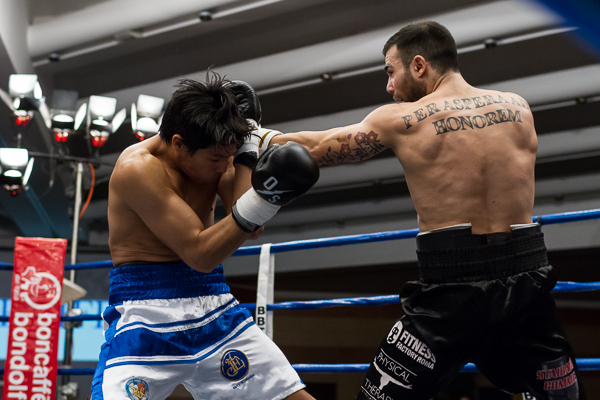 February 9, 2013: athletes from all over the world will step in to the ring for a great Kickboxing event: Alessandro Campagna, Paolo Angelini, Manuel Raini, Mattia Pharaohs, Jacopo Scaringella, Julian Imeri, Salatino Arianna, Julia Grenci, Khalid Lariffi, Fernando Calzetta , William Carata, Emanuele roofs, Lorenzo Castagna, Marco Re, Tergui Ouadia, Youssef Sigaoui and Donatella Panu. 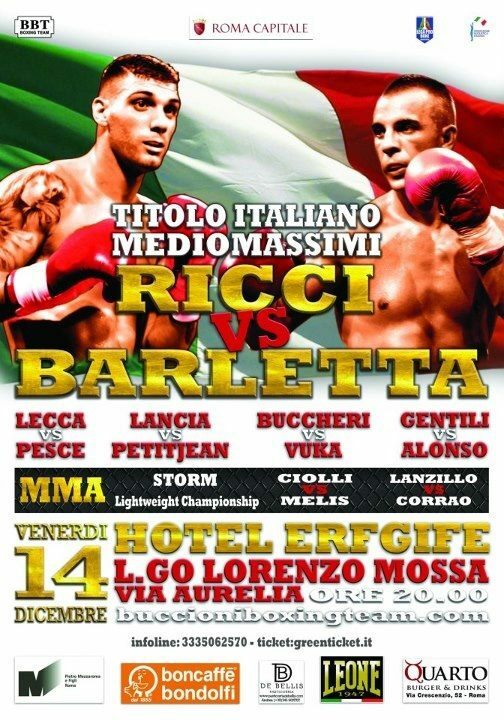 Another great victory Friday night (December 14) at the Hotel Ergife (Rome) in the Italian light heavyweight title undercard Barletta Vs Ricci. 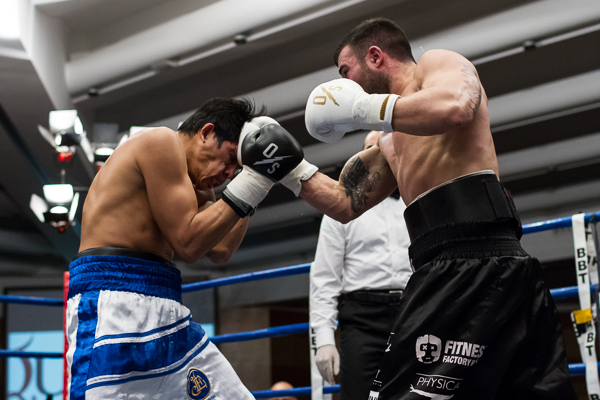 Riccardo Lecca won by points on Orlando Membreño – who shown a great temperament on the ring – and collected his seventh consecutive victory. On December 14, in the undercard of the Italian Light Heavyweight Title Championship between Emanuele Barletta and Mirco Ricci, Riccardo Lecca will fight against Andrea “Thunder” Pesce, an ambitious boxer who is looking for redeem after the loss against Roberto Ruffini (see action gallery on Scattisportivi.com) a few weeks ago in Rome. The event will take place in a really exclusive location, which will be the VIP Hall of the Ergife Hotel in Rome. Around the ring only 600 seats, with dinner at ringside in perfect American style. 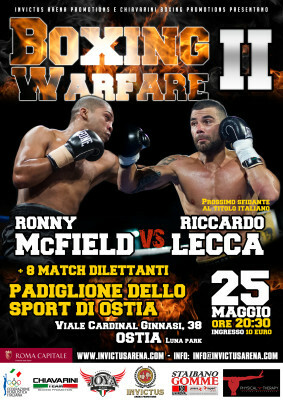 For Riccardo – after the prestigious victory in the K1 prestige fight in Glory 3 – it is a new, important (all matches are) committed against an Italian boxer on the distance of 6 shooting. The event is promoted by Davide Buccioni. Tickets are available at Greenticket.it. The ticket also includes dinner in the Hotel Ergife. 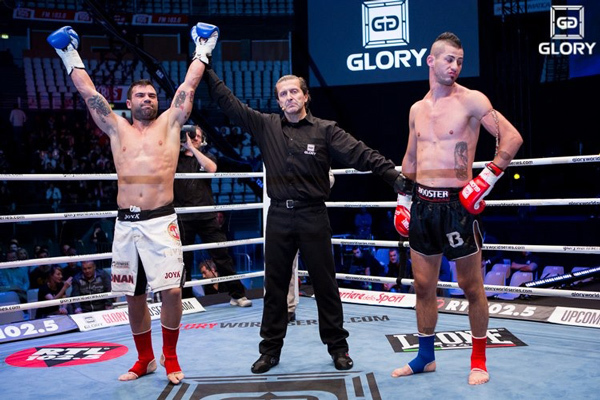 Great victory by knockout in the first round for Riccardo in a location that could not be more exciting: the prestige fight that preceded Glory World Series Final 8 (Palalottomatica, Rome). << I’m really happy about the match, I knew that my boxing skills and my power punches were stronger compared to my opponent so I immediately started hitting hard and move around, trying to stay out from my opponent’s middle kicks. In the past week I actually had a knee injury, and until a few days before the match I still was not sure I could fight…I went forward with the right determination and decided to close the match as soon as possible in the first round, and I did it! My strong point is boxing, but it was a kickboxing match so I paid attention to both of his knees and that kicks. D’Amuri was an uncomfortable fighter because his long arms and legs… so I could not be static. I am very happy because I finished this match flawless and without injuries…and the just started season is so full of important events! Riccardo ends his preparation for the next match on the evening of November 3 Glory Rome (http://www.gloryworldseries.com) in Amsterdam, in the mythical gym Mousid Gym (http://www.mousidgym.nl) under the direction of Mousid in person and accompanied by his friend Khalid (Khalid Mahzoum fight team Cecina), always at his side during the preparations! Riccardo as usual decided to leave Rome in order to focus exclusively on its commitment, aided by the best professionals in the Netherlands, just as the great coach Mousid Akhamrane. 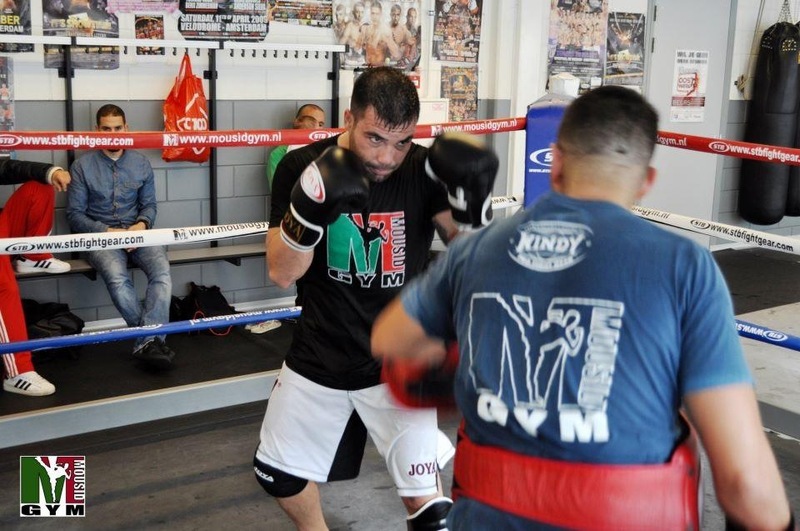 In Amsterdam he praticed intense technical training and sparring sessions with champions like Mosab Amrani and Hafid el Boustati (winner in June of Van Rosmalen); Mousid expressed confidence for its technical and athletic condition. The next important commitment in the K1 for Richard will be ‘on February 9 in Rome’s gala’ Invictus (http://www.invictusarena.com/) in which he will fight against Mustapha Haida for the Intercontinental Title WAKO PRO. But now, however, the appointment with all the fans is for November 3 against Giuseppe D’amuri! 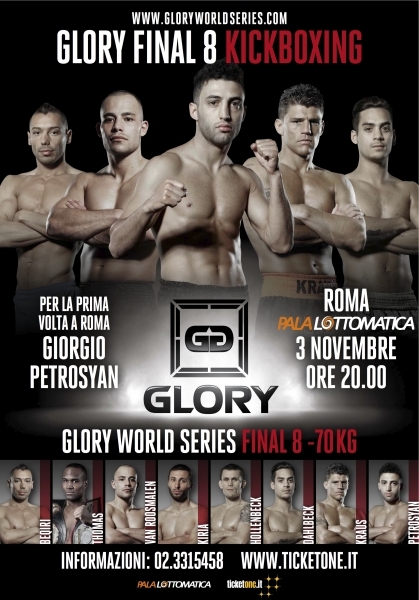 It has been announced the GLORY WORLD SERIES ROME matchmaking, the gala of the year in combat sports. Great opportunity for our Riccardo who will fight against Giuseppe D’Amuri in one of the three prestige fights that will open the evening. 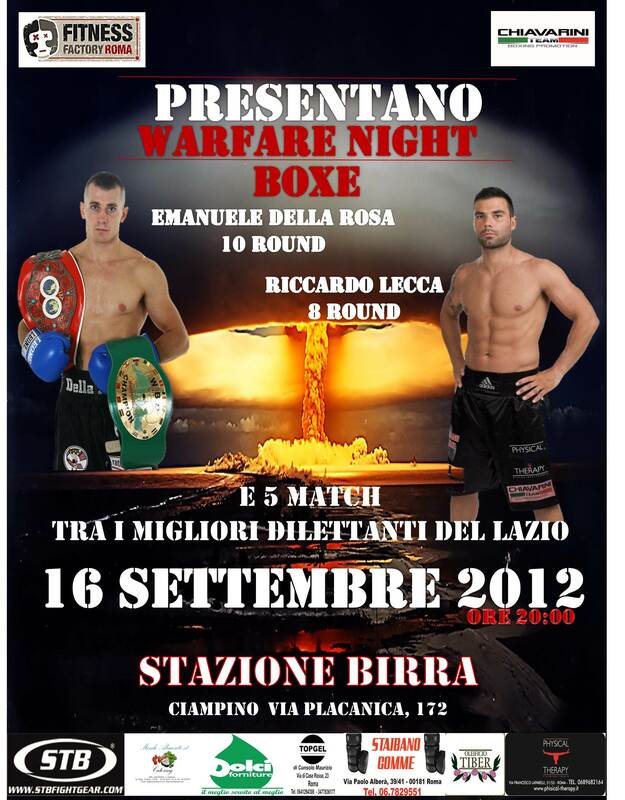 On September 16, 2012 “Stazione Birra” guests “Warfare Night!”, the boxing event focused on two professional fighters very popular in Rome: Riccardo “Conan” Lecca – former champion in the European kickboxing – and Emanuele “Ruspa” Della Rosa, WBC International superwelter champion. Lecca (5-0-1, coached by Maestro Franco Piatti) is in its seventh pro match, and after convincing fights against Giovanni D’antoni and the Serbian Srecko Janjic, looks for further confirmation on the road to the Italian national title, which currently remains the primary target in his boxing career.